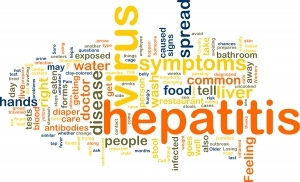 What is a Hepatitis Panel? Hepatitis A Virus causes an acute inflammation of the liver (hepatitis) that almost always gets better on its own. It can be more serious if we are older when we have the disease. It is easily spread from person to person, in food and water, and can infect many people at once (example: if a food handler at a restaurant is infected, many who ate the food can be infected). Hepatitis B Virus can be both acute (short-term illness) and chronic (ongoing illness) and is spread through blood or other body fluids in various ways. Hepatitis B is very common in Asia and Africa and those who were born or lived in these areas should be checked for hepatitis B. Hepatitis C Virus is almost always chronic and spreads only by blood. Hepatitis A and B can be prevented by vaccination, but not hepatitis C. There are now many good medications available to treat chronic hepatitis B and C.
Why a Hepatitis Panel important? If you’ve had a Hepatitis panel drawn and the Hepatitis B Surface Antibody (HBsAB or anti-HBs) is positive, it means you are IMMUNE to the virus due to previous Hepatitis B vaccination.